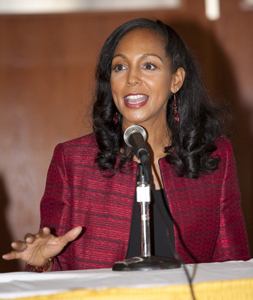 THE BUZZ: On Saturday, March 26th, 2011, I participated in the American Heart Association’s Harlem Go Red for Women Educational Forum & Luncheon at City College in New York. It was a sea of beautiful red and an afternoon of fun and facts. 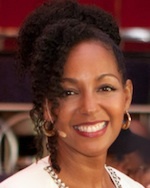 The former View co-host is representing the American Heart Association on this season of Celebrity Apprentice and has already won $170,000 for the organization. 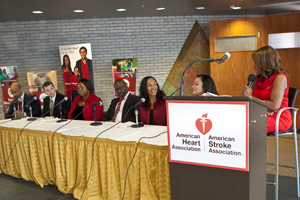 To set the stage for the afternoon, AHA’s past president Dr. Clyde Yancy was interviewed by Star “TV-style”. 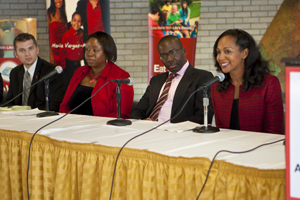 The Heart to Heart expert panel, which I was delighted to be a part of, offered practical advice for heart-healthy living. 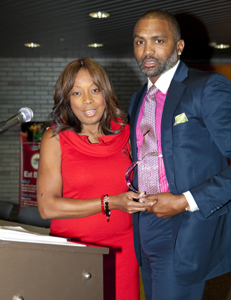 Former NBA player Cuttino Mobley received the first “Man with Heart Award” and shared his own story regarding his heart condition, hypertrophic cardiomyopathy. 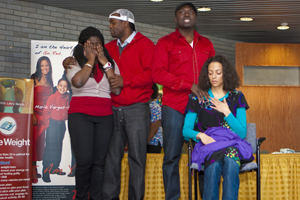 The day also included a skit by students from Touro College of Pharmacy, as well as health screenings. 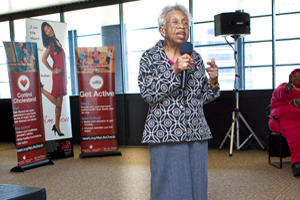 Heart disease is the number one killer in the U.S. – 82 million people in the United States suffer from some form of cardiovascular disease, and African-Americans are disproportionately affected. 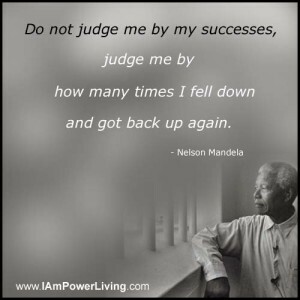 I’ve lost seven family members to heart disease and stroke, which is why I am honored to serve as a national volunteer and spokesperson for the American Heart Association / American Stroke Association. 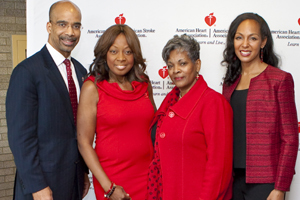 Find out more about AHA’s “Simple 7″ and their efforts to build a world free of cardiovascular disease.